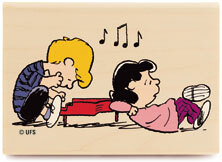 Lucy, give it up. He’s just not that into you. A few years ago, I was embarrassingly besotted with an adorable Englishman who was in a Famous Band. Never mind that he was a hopeless alcoholic, had custody issues and was openly pining for his baby mama. He was charmingly elusive. Which made him even more desirable, as I felt I had to work to earn his attention. Which I got, sometimes, when I became elusive too. Of course this turned out to be a complete romantic flop, and I soon met the very good, accessible and emotionally intelligent man who became my husband. The study was done with undergrads, who tend to skew in their teens and 20s, so here is what I would hope 40licious women everywhere have learned: Don’t waste your time on the guy who is not into you. You will know if he likes you because he will seek you out and send you sweet texts and keep asking when he can see you next, and then actually keep the date. If he’s a contender, he will call you if he’s traveling, working, with his kids or having open heart surgery. Your man will want you with him, no matter how complicated his life is. You’ve got better things to do than wonder if someone wants to wake up with you every morning for the rest of his life. Like hang out with your friends, enhance your career, launch your business, hike with your dog, call your mother, have tea with the elderly neighbor, and save the little corner of your own world. When I was younger I would seek men who were emotionally unavailable. The more I knew they weren’t available to me the harder I would fall for them. I’m in my 40’s now, and this relationship I’m in is so very different. He is totally into me, and we are able as a couple to connect on levels I never realized even existed in relationships. Its amazing what can happen!